I’m a huge fan of blackjack and whenever I visit Las Vegas I always go from casino to casino to play the game and its variants. 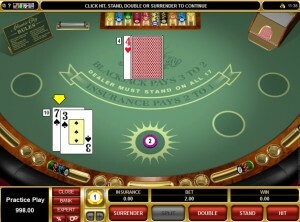 I also like to play online blackjack, especially when I want to relax a bit in my apartment. So a friend of mine recommended Royal Vegas Casino, a reputable online casino that also offers mobile and live dealer games. It is a member of the Fortune Lounge Casino Group and is licensed in Malta. Right from the homepage I could see that the casino is using Microgaming and Microgaming Quickfire software for its downloadable and instant play casinos so I knew I would find a great deal of games, especially plenty of blackjack variants. I have to admit that the huge $/€/£1,200 new player bonus offer really caught my eyes so I immediately registered a new account. Royal Vegas Casino also offers safe and recognizable banking methods and uses SSL encryption as a security measure. After I downloaded Royal Vegas Casino, I noticed that there are 44 downloadable blackjack variants. In addition, there are about 20 instant play blackjack games. The games come in both single and multi-hand formats and some variants include European Blackjack Redeal Gold, Double Exposure Blackjack Gold, Multi Vegas Downtown, Vegas Single Deck, Hi Lo 13 European, Big Five Blackjack, Hi Lo 13 Blackjack, Multi-hand Bonus Blackjack, Multi-hand Blackjack, High Streak Blackjack, Spanish Blackjack, Vegas Strip, Multi-hand Classic, Atlantic City Gold, Perfect Pairs European, Classic Blackjack Gold, European Gold, European Blackjack and Super Fun 21. My favorites are definitely Microgaming’s Blackjack Gold Series whose enchanted graphics gave me a genuine and pleasant casino feel. I really liked the customizable payer view of the games as well as the high quality graphics and sounds. I also saw that the casino offers the only progressive jackpot blackjack game from Microgaming- Triple Sevens, a blackjack variant played with 5 decks in which players place a side bet. A hand of three 7s of Diamonds wins you the progressive jackpot. Even though I’m a big blackjack fan, I like to play other casino games from time to time. Microgaming has the biggest selection of online casino games on the web so it didn’t surprise me when I saw the large game library at Royal Vegas Casino, both download and instant play. I also saw the eCOGRA safe and fair seal so I knew that the games are genuinely random and offer fair results. Generally speaking, the games were categorized into classic, video and progressive slots, progressive games, table games, video poker as well as a couple of casual games. I tried my luck at Progressive Caribbean Poker as well as in my personal favorites Mega Moolah and the Dark Knight. I also spun the reels of Avalon and Girls with Guns. Even though there weren’t any blackjack only welcome bonus offers, I was happy to see that Royal Vegas Casino has an International Blackjack League and from the short intro I could see that I can play against other blackjack players in a fast paced environment. This is great news for competitive blackjack players that want to see how good they are, learn some secret bets and see where they are on the live leader board. 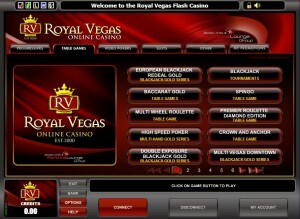 Right from my first visit at Royal Vegas Casino I could see the bankroll boasting $/€/£1,200 welcome bonus package offered to newly registered users over their first three deposits. It is comprised of 100% first deposit bonus up to $/€/£250 plus 20 free spins and 2,500 rewards points, 25% second deposit match bonus up to $/€/£200 free and 50% third deposit bonus up to $/€/£750. In addition, there is 10% alternative deposit method bonus if you make a deposit via UKash, Skrill, EcoCard, EntroPay and Neteller, but make sure you enter the bonus code correctly. Furthermore, if you invite a friend and he/she joins the casino and makes a deposit, you will be given $/€/£100 refer-a-friend bonus. Slot fans can also enjoy their time at Royal Vegas Casino and take part in the International Slots League where they can compete in massive tourneys and win huge prizes. From what I saw the casino has pretty action packed bonus program suitable for all types of players. Mac users would be happy to know that blackjack and the other casino games at Royal Vegas Casino can be accessed via the instant play version directly on their Mac device via the Safari browser. 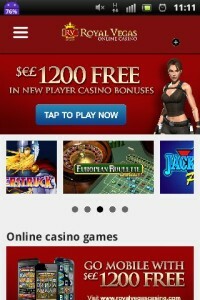 The casino also has mobile responsive design that perfectly fits various screen resolutions. I have an iPhone so I could easily join Royal Casino Mobile and play multi-hand, single hand and Gold Series Blackjack including variants like Atlantic City Blackjack, European Blackjack, Spanish 21, Big Five Blackjack Gold etc. The casino is also compatible with iPad as well as Android powered smart phones and tablets. Some of the deposit methods I saw under the Banking tab are Neteller, Skrill, EcoCard, EntroPay, UKash as well as the major credit cards like Visa and MasterCard. Deposits and withdrawals can be made in various currencies like US Dollars, Euros and British Pounds among others. Deposits are processed instantly, while withdrawals take a couple of working days to clear. Generally speaking, there are no fees for deposits, but some withdrawal methods come with specific cashout fees. Royal Vegas Casino is a true blackjack heaven and I would definitely recommend to all my friends. I really liked the graphics of the games as well as the wide choice of blackjack variants. On top of this, the casino uses reputable software, has top notch security, pretty generous bonuses and safe and secure banking. The lobby is easy to navigate and I was happy to see that there is mobile casino version as well. 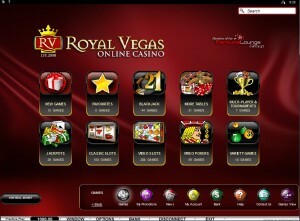 All in all, Royal Vegas Casino is an excellent online casino destination that knows how to attract new players.